Why Hasn't Android Gaming Died Yet? You are here: Home / Weekly Columns / Opinion / Why Hasn’t Android Gaming Died Yet? Why Hasn’t Android Gaming Died Yet? (ThyBlackMan.com) Google has partnered with Unity, a popular game platform, to deliver ads in the $50 billion mobile gaming market. Smartphone manufacturers like Honor, Huawei, Samsung, and Razer have confirmed that they will be focusing more on Android gaming phones. Why these news updates matter because we have been hearing about the death of Android gaming. We all have heard that mobile gaming on Android phones won’t survive for a long time. So why are these companies ready to invest more time, money, and energy on something that is (according to many people) destined to be dead soon? Try to look for mobile gaming related things on the internet and you will see at least one new post on social media platforms or gaming websites declaring the death of Android gaming. If these alleged industry analysts know so much about mobile gaming, why the mobile market is showing positive signs of growth? Why would a multinational company put more resources into it? The truth is, Android gaming is here to stay. Not because some of the leading companies have predicted gaming market’s growth in Android space, but there’s nothing that comes close to what we can call a true Android gaming killer. Here are the reasons people think Android gaming will die and in reality, it’s not happening at all. It’s true that you will find many serious gamers on other platforms while Android is still struggling to build a strong community of gamers. But do we really expect the mobile platform to become a true console or PC replacement? We have F1 and Forza on consoles, and Asphalt 9, Need for Speed on mobile. We have the full Hitman series on PC and consoles and a limited mobile version of the game in form of Hitman GO. We never wanted Android to compete with PCs and consoles. We knew it won’t happen. 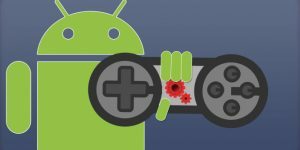 Piracy is one of the reasons behind the whole “Android gaming is dying” idea. It’s true that Android game clones are everywhere. It is also true that piracy has a negative effect on the video game industry, but it is not limited to Android gaming. More than mobile games, the piracy culture is deep-rooted in PC gaming space. For many developers, piracy is not a problem because they have learned to use it for their own profit. Do you remember the horror game Darkwood? Its developer himself uploaded the game on Torrent saying that “players who can’t afford it” can download it from there. With that, the developer requested fans not to download the game from any shady websites to make sure that they are not feeding ‘the cancer’ (piracy). The developer received positive feedback for such a “kind” act. The game got more publicity and more sales as well. Not everyone can make such a bold move, but one interesting fact people often neglect – those who download pirated games actually want to play the game but they don’t have the money to spend on games. It clearly means that these people were never a part of the target customer for the game’s marketing team. These are the people who play games and if they like it, they spread the word. Mobile gaming is no different than gaming on a console, especially when there are people who are too obsessed with Android vs iOs and Xbox One vs PS4 debates. If you compare the Android gaming with gaming on iOS, the only thing that really matters other than the hardware is your personal preference. People hardly consider the Android vs iOS thing for gaming. It is not even a parameter for gamers because mobile phones tend to do pretty much the same thing and people pay attention to other features like display, camera, and hardware. Other platforms like iOS have not even built a bigger player base, so they are clearly not a threat for Android gaming. There are challenges in the video game industry for both players and game developers. Android gaming is facing competition, but there’s no such thing as Android gaming is in danger. All the gaming platforms, with their respective hardware and software offerings, can exist without killing each other.